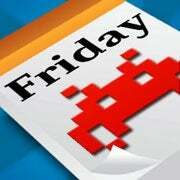 In PC World's ongoing efforts to celebrate sloth, we're taking a high-tech detour this week. I mean, yes, we'll find cool ways to kill time and slay spies--but how about, as well,&#160;some top secret tech&#160;that will&#160;show you how not to get caught while doing it? Everyone knows Bond, James Bond. But Jason Bourne? Before the movies, you probably never even heard of the pulp fiction star. Well, this week marks Bourne's first video game treatment, and here's the shocker: It ain't half bad. Robert Ludlum's The Bourne Conspiracy (available on PS3 and Xbox 360) retraces steps from the first flick while filling in blanks along the way. Do I miss not seeing Matt Damon's likeness? No. 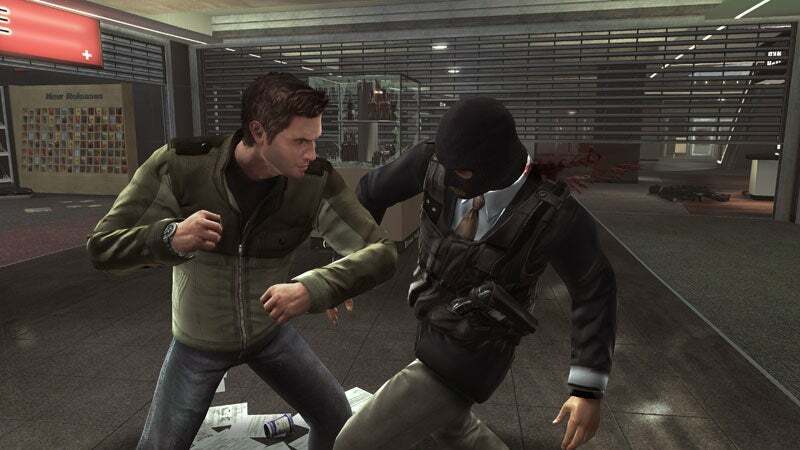 The fist fights are the most memorable part of The Bourne Consipracy video game. Honestly, I would've preferred to see more street fighting than the scenes of sloppy gunplay or the occasional ho-hum car-chase sequences. Still, the game is a fun little ride. Y'know, like any good summer blockbuster. Get in, beat people up, blow things up, and leave. Is it worth shelling out a full 60 bucks for the experience, though? Download the Bourne demo (currently available on Xbox Live and&#160;PlayStation Network) and see for yourself. That said, consider saving some money for the PS3's Metal Gear Solid 4: Guns of the Patriots, which will be released on June 12th (next Thursday). That is going to be huge. I may not know kung fu, but I know where to find gadgets to get the job done. Whether you think them&#160;James Bond-ian or bordering on creepy, a world of spyworthy tech is a click away. &#8226; A Google expedition led me to proofpronto.com where they offer up the Sim Card Spy. This $119 gadget is downright scary. You pop in a&#160;SIM card from a phone, then plug the device into a USB port, whereupon,&#160;the company&#160;promises, you should be able to see&#160;all calls and text messages made&#160;on that phone&#160;(and stuff deleted as well). Makes me want to go back to using carrier pigeons. &#8226; Hey Kenny-boy, you think you're safe because you&#160;shred your&#160;documents? The Unshredder software suite can help reassemble mulched memos on any desktop PC. Ah, but spying has its price. The software has a $90-per-month fee, plus it requires special paper trays (which costs $100 for a pack of 100) in order to scan the scraps properly. Scanner not included. &#8226; Someone's watching you.&#160;Or are you just a&#160;little paranoid, maybe? 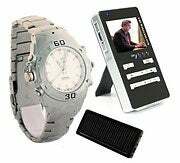 Then try out this long-range hidden camera detector available at spygadgets.com and prove they're out there. The $295 scanner uses two lasers to detect hidden camera lenses up to 50 feet away. Just peep through the 4X optical port to turn the tables on your stalkers. &#8226; More fun than freaky is the Stealth Switch. Think of it as&#160;a "My boss is about to catch me" button that plugs into a PC and sits by your foot. Jam on the pedal, and it can do any number of preprogrammed tasks you select. Like, say, minimizing World of Warcraft and reopening an Excel spreadsheet. Price: $40 (before an introductory $10 discount). &#8226; This watch isn't just a decent-looking timepiece, it also happens to be a one crazy covert spying tool. The solar-powered sneak houses a 2.4-GHz transmitter with a 300-foot range. What is it transmitting, you ask? 640-by-480-resolution color video and audio from its built-in camera--and the transmission&#160;goes to the included MPEG-4 Recorder DVR. Honestly, out of all the gear here, this is the one thing I'm putting on my wish list (it's no impulse buy--it costs $429). Oh, the things I could catch PC World staffers admitting to in product demos! Deus Ex: Game of the Year Edition: I don't know how GameTap pulled it off, but the company is now offering this fantastic sci-fi spy game for free. In this role-playing, first-person shooter, you're a cybernetic superagent trying to uncover a globe-spanning conspiracy. A couple years ago, you'd have paid top dollar for this game and been happy. Hacker : Even if it's more about computers and back doors as opposed to beautiful spies on foreign shores, hacking is synonymous with spying. And while I'd love to point to Activision's classic game&#160;of the same name, I'll settle for this quirky little flash-based version. JD Spy : This tiny download is really a series of devious puzzles. In fact, the first time you start playing it, you'll think that the game is broken. Or that the program just isn't working. Trust me on this--it is. And it's a lot of fun. Nothing says 'elite agent' like a kung-fu stick figure. Dynasty Street: In a nutshell, a secret agent stick figure needs to infiltrate the enemy base and lay waste to anyone that tries to stop him. And, really, who doesn't want&#160;to see a stick figure punch, kick, and shoot his way through hordes of hostile minions? Beyond Castle Wolfenstein : Before Id Software took shooters into 3D, Wolfenstein was a very tense action stealth game. And technically, this was the very first spy game that I loved and played as a kid on my Apple II. In it, you're infiltrating a Nazi headquarters, posing as a guard and trying to plant a bomb to take out Hitler.